A woman was struck and killed by a van during a hit-and-run collision near downtown San Jose early Thursday morning, and authorities are still searching for the suspect, according to police. 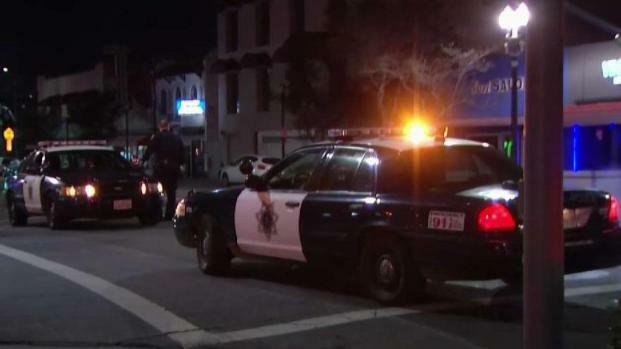 Officers responded around 12:35 a.m. to the hit-and-run, which happened at the intersection of N. 10th and E. Santa Clara streets, according to police. Based on a preliminary investigation, the woman, identified as 59-year-old Margaret Urueta, was walking in a crosswalk when she was hit by a white full size, GMC or Chevy, van driving southbound along N. 10th Street, police said. Police said the van had dark rims, right front end damage to hood and right headlight. It had no other markings or identifier. A woman was struck and killed by a van during a hit-and-run collision near downtown San Jose early Thursday morning, and authorities are still searching for the suspect, according to police. Kris Sanchez reports. The driver of the van did not stop after the collision occurred, according to police. The suspect has not been identified or captured. This marks San Jose's third deadly vehicle versus pedestrian collision of 2019, police said. Anyone with information is asked to call 911 or reach out to Detective Brian McMahon of the San Jose Police Department's Traffic Investigations Unit at 408-277-4654. Those wishing to remain anonymous can call the Crime Stoppers Tip Line at 408-947-7867.